Legendary director and creator of the “Toxic Avenger” Lloyd Kaufman is going to San Diego Comic Con this weekend and the “Flushies” are coming with him! In breaking news Troma President Lloyd Kaufman announced yesterday that Toxie has become such a beloved citizen of Tromaville that a custom-handmade, limited edition line of plush dolls has been created for children (13 and +) and collectors alike EXCLUSIVELY for the 2014 San Diego Comic Con International in honor of his 30th Anniversary. 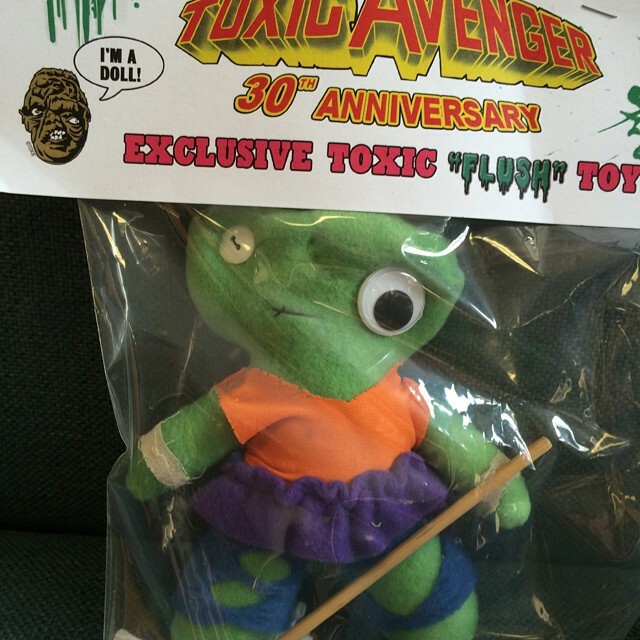 Urgent Safety Warning: Toxie Plush Doll NOT Appropriate for Children Under 13. Each one is numbered and authentic – These soft, adorable, googly-eyed Toxic “Flush” Toys can be purchased at the Troma Booth (Booth # 4017) signed by Lloyd Kaufman for FREE! And be sure to mark 9pm on Saturday Night July 26th on your schedules for the Official San Diego Comic Con Troma Panel with Lloyd Kaufman, Toxie, internationally-known artist Skinner, MTV’s “My Life as Liz” star Liz Lee, and filmmaker the “Angry Video Game Nerd” James Rolfe in Room 23ABC. 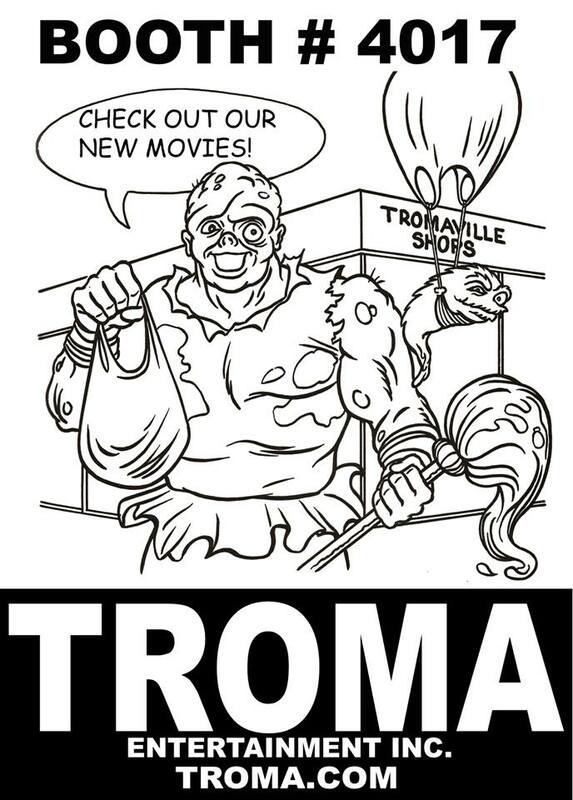 e-mail Joe@Troma.com or contact Megan Silver, Troma’s on-site coordinator at megusandmarken@yahoo.com. This entry was posted on Wednesday, July 23rd, 2014 at 4:09 pm	and is filed under News. You can follow any responses to this entry through the RSS 2.0 feed. You can leave a response, or trackback from your own site. You are here : Home » news » 2014 » 07 » 23 » Now Your Child Can Sleep with Toxie – Limited Toxic Avenger “Flushie” Available Exclusively at San Diego Comic Con this week-end!